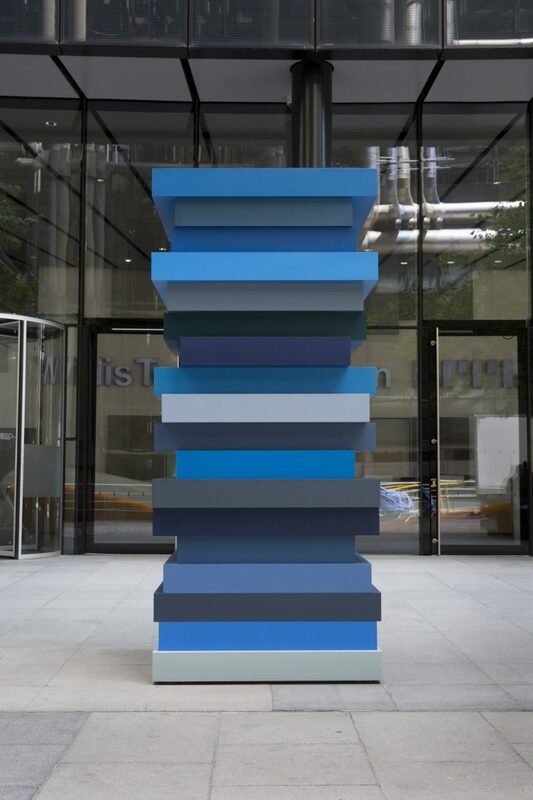 Having these works dotted around the Square Mile is enormously positive for the people who work or live here. Everyone, regardless of whether or not they are modern art lovers, appreciates being in a changing environment. The sculptures make us look and think differently about the everyday world around us, which is very stimulating. Also being exposed to art is proven to improve our sense of wellbeing and creativity. So hopefully we will feel, as well as work better. Sculpture in the City delivers an annual urban sculpture park and an associated education programme. This innovative cultural programme is delivered by the City of London in partnership with local businesses combining corporate and public values and priorities. 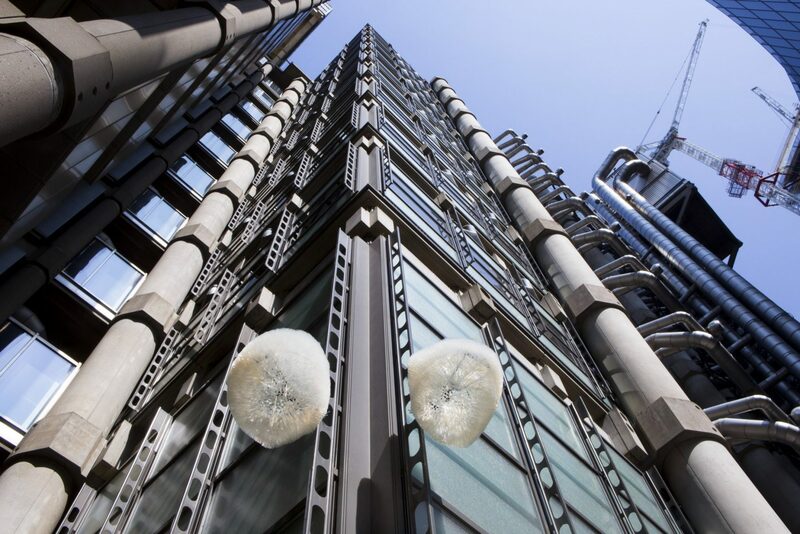 The project is located within the insurance district of the Square Mile, surrounded by the iconic towers that define the area and inform the high quality nature of the project and associated programmes. The historic churches nestled amongst them also inform the sensitivity and contextual awareness required to deliver a sophisticated programme which reflects this complex and exciting part of London. Click here to visit the official Sculpture in the City website. Lacuna was first commissioned by the City of London Planning department in November 2010 following consultation with local businesses in the Eastern City Cluster. The key message during this consultation was that local stakeholders were keen to see contemporary sculpture installed to humanize and enliven this area of high architectural quality. This was to begin with one sculpture in the centre of the tall buildings cluster around Great St Helen’s and delivering a series of community events within a limited budget. In its first year Sculpture in the City had far exceeded the original brief installing, instead of one, four major artworks: Sky Mirror by Anish Kapoor, Garden Pouf by Franz West (which had never been seen in public before), Three Men Walking by Julian Opie and Screen with Folded Arms by Kenneth Armitage. These works were on loan from the artists and galleries for a 6-12 month period with the project funding covering the costs of delivering and maintaining the artwork on site. There was also a community weekend delivered by the Big Draw as part of the City of London Festival entitled Take a Closer Look. Crucial to this early success was securing partnerships with three local businesses: Hiscox, British Land and Aviva. The success of the project in the first year informed the level of ambition moving forward. 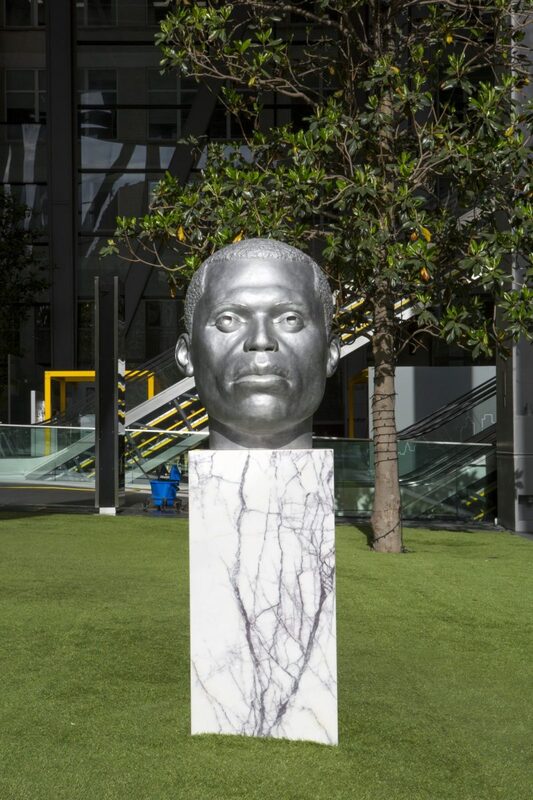 The project continued its growth in 2012 with 7 artworks installed in the area including works by Tracey Emin, Yayoi Kusama and a brand new work made specifically for the site chosen by Dan Graham. Two further local businesses also joined the group of Partners. 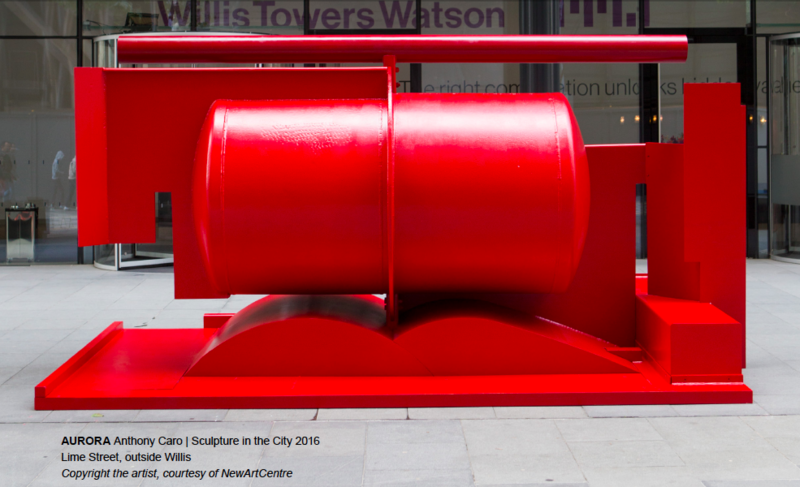 In 2018, Sculpture in the City is being delivered by the City of London in partnership with: Aon, Aviva, 22 Bishopsgate, Blackstone, Bloomberg, British Land, Brookfield, CC Land, Generali, Hiscox, TH Real Estate and Tower 42. Working with Stella Ioannou is a delight. 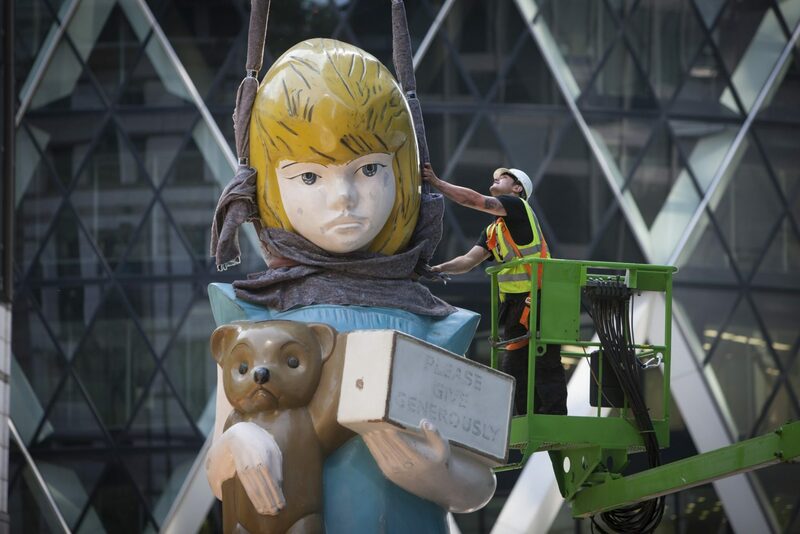 She has done amazing things with Sculpture in the City; organising and placing a large variety of important sculptures around the City of London, each year. 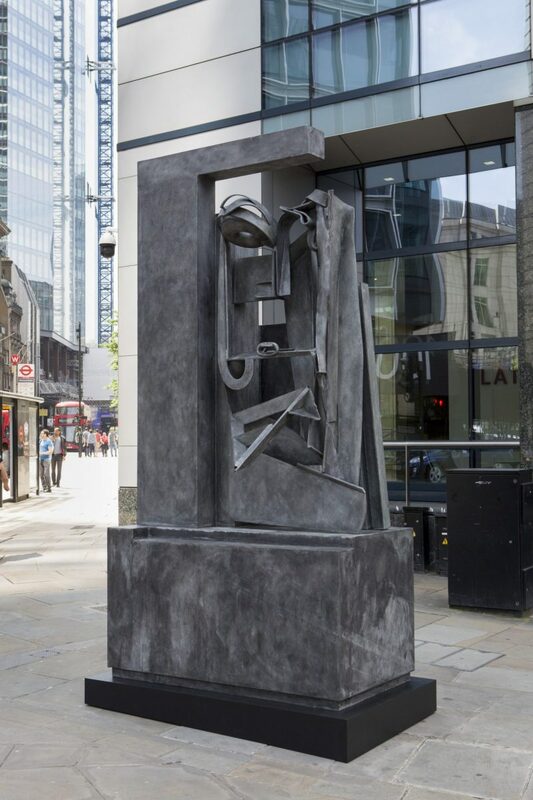 The sculpture Aurora by Anthony Caro was positioned outside Willis Tower Watson and the Lloyds Building. We lent it to her and it looks tremendous there. Her work has benefited both Art and the City. The artworks are now secured through an open call managed by Lacuna and shortlisted by the Arts Advisory Board of Robert Hiscox (Chairman of Hiscox), Whitney Hintz (Curator Hiscox), Iwona Blazwick (Director Whitechapel Gallery), Jane Alison (Head of Galleries Barbican Art Centre), Wendy Fisher (Arts Patron), Stephen Feeke (Director NewArtCentre Roche Court), Andrea Schlieker, Director of Exhibitions and Displays at Tate Britain, Gavin Turk, Guest Artist. The Arts Advisory Board to which Lacuna presents the submissions was established in 2015 to ensure that the selection of artworks were of high artistic and curatorial value. In addition, Lacuna presents the shortlisted artworks to the City Arts Initiative, which reviews all public art projects proposed to the City of London. Stella’s approach to delivering the most challenging cultural and art related events and exhibitions has enabled the realisation of truly significant contributions to life in London. The ability to read the client’s needs and to support them in their role, makes all the difference in delivering challenging programmes. Stella is to be particularly commended for her attention to detail and impressive curatorial and coordinating skills across a range of partners and stakeholders. 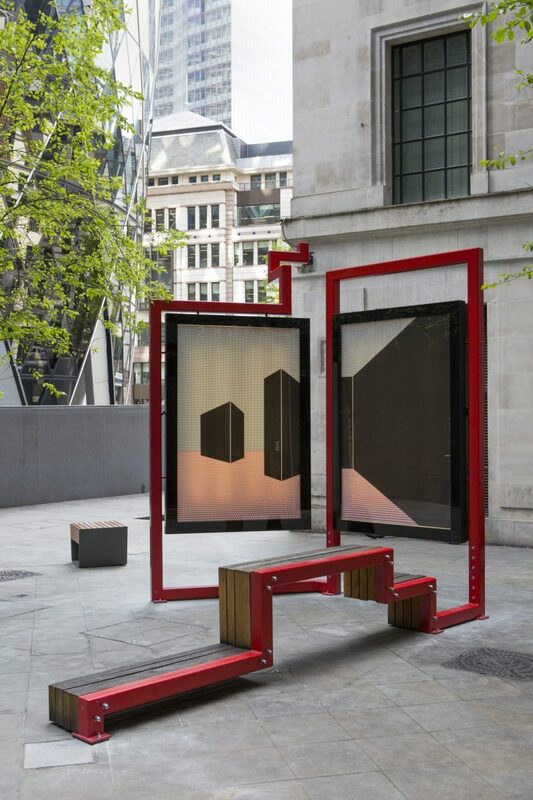 Alongside the core Sculpture in the City eighth edition, in 2018, Lacuna also delivered a brand new programme, Musicity x Sculpture in the City that adds to the digital transformation of Sculpture in the City enlivening ten sites from Aldgate to Shoreditch and from Leadenhall Market to St. Botolph’s-without-Bishopsgate. These ten newly commissioned audio tracks, ranging from modern classical and electronic to globally inspired soundscapes, includes new site-specific work by Sarathy Korwar, Midori Komachi, Bambooman and Angele David-Guillou. 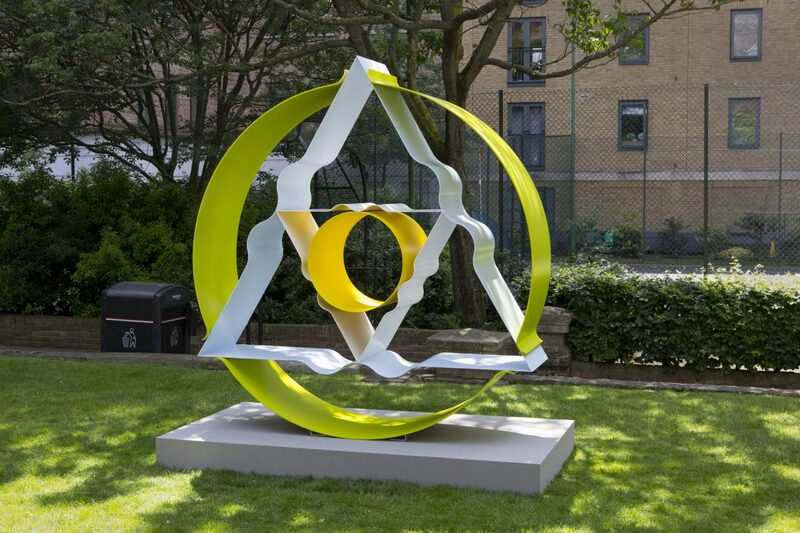 Musicity x Sculpture in the City launched on July 21st 2018 during the first edition of Nocturnal Creatures and will stay live for visitors to enjoy as part of the programme’s legacy. These tracks are available 24/7 simply by using headphones and connecting a handheld device to the Musicity webapp. 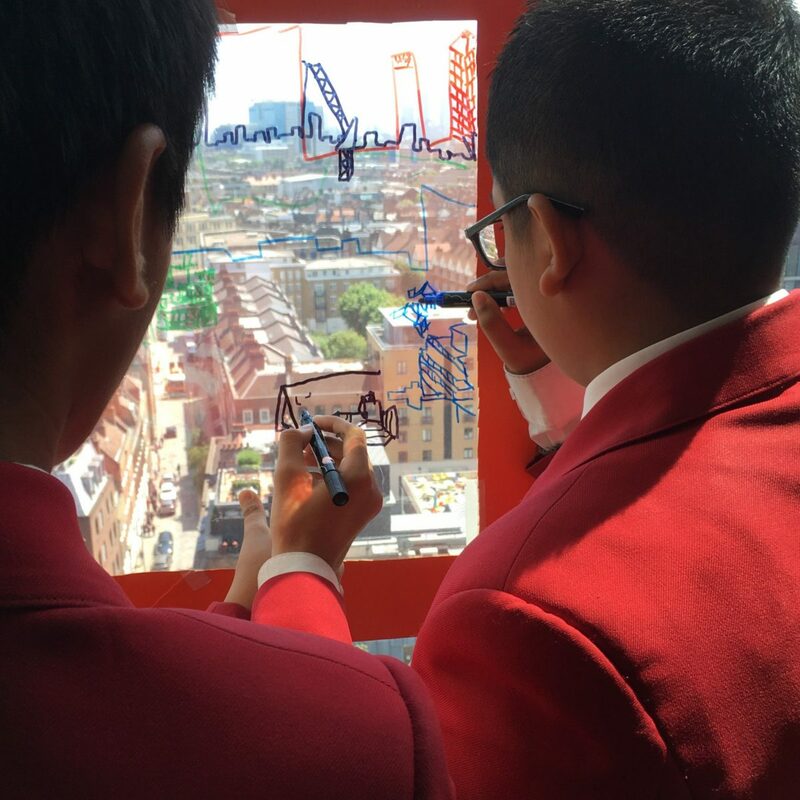 From the inception of the project it was very important that we were engaging with the local community by delivering a series of community events which encouraged young people and families to engage with the project and by extension the City of London. The highly ambitious educational and community programme has developed over the years and it is now delivered in partnership with Urban Learners. Since 2012, working with artists, architects and partner company volunteers, 1,530 students attending a total of 191 workshops run in series of for workshops for each class. 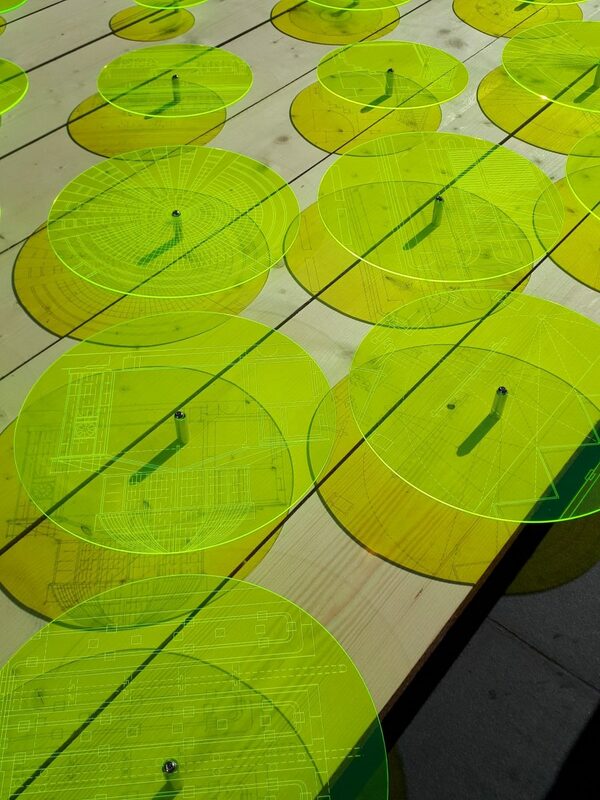 These explore the public spaces and neighbouring buildings (before and after the sculptures are installed), and help the students creatively respond to the public spaces, architecture and sculpture. This extensive educational programme is a significant element of the overall programme benefiting students aged 10-14 years old from neighbouring borough schools. These schools have students from under-represented communities, many of whom have never visited the City before and/or are unlikely to consider the city, art or the built environment as career and cultural pathway options. The students discover new places in the city and learn about the value of public art. 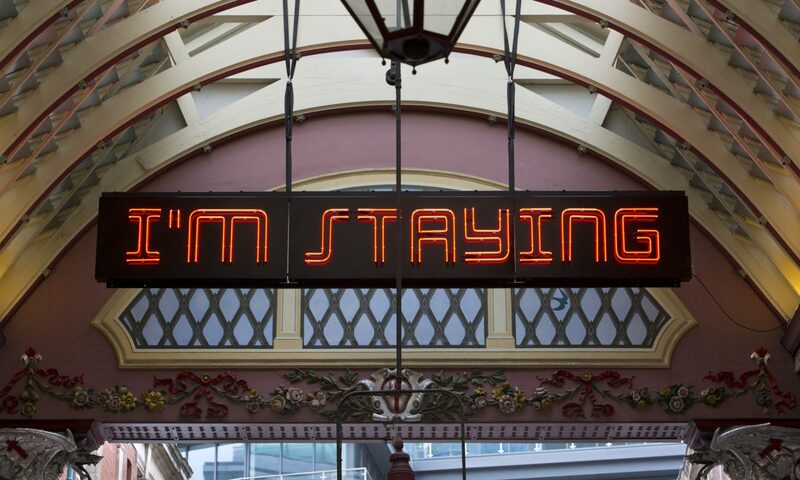 Nocturnal Creatures is a new late-night contemporary arts festival that was launched by the Whitechapel Gallery, in association with Sculpture in the City, on Saturday 21 July 2019, bringing together performance, video, sculpture and sound in the heart of the East End. Cultural and historic venues within walking distance of the Whitechapel Gallery and into the Sculpture in the City area, were transformed for one night by spectacular artworks and performance, attracting more than 6,000 visitors to the area. 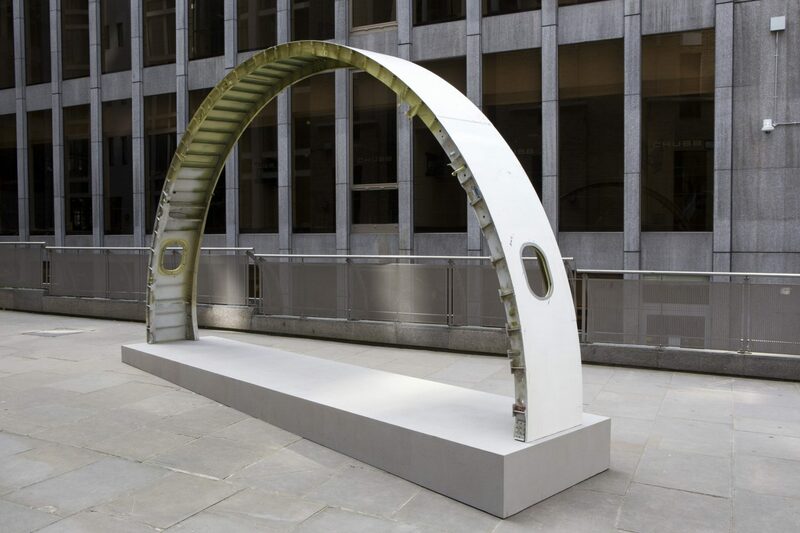 Sculpture in the City, as the associate programme partner, delivered a series of tours, talks and events by artists and associates of the project, including Amanda Lwin, Jyll Bradley, Shaun C Badham and Thomas J Price. In addition, Musicity x Sculpture in the City l was launched during Nocturnal Creatures with a series of Musicity Live music performances by Midori Komachi, Bambooman, Angèle David-Guillou and SuperCool-Guy feat. Fay Cannings. I have had the pleasure of working with Stella for over a decade and more recently with Open City delivering the education programme for Sculpture in the City. Stella has a thorough understanding of the City; what it represents and what it requires and has worked hard to dispel the myth of the ‘Fortress City’. She understands the importance of engaging the local workers but also children from schools in the nearby boroughs who are provided real opportunities to be inspired and aspire to extend their boundaries. The education programme makes sure children do not think that the City is only for City businesses but that they are welcome and perhaps one day they could also work there.